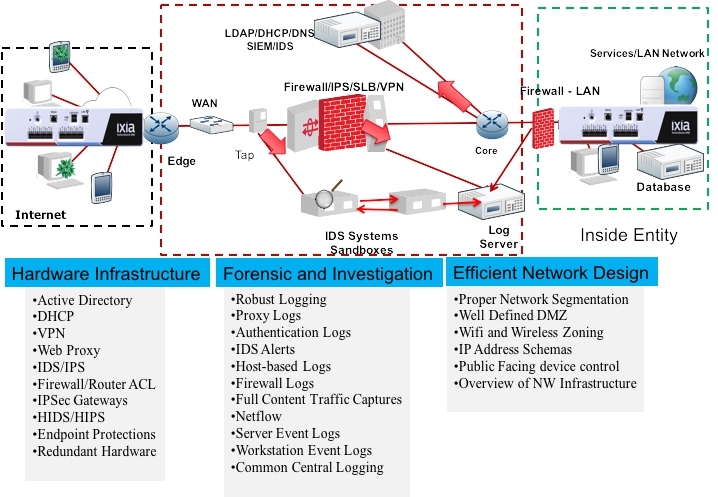 We also provide the recommendation on each issue to enhance the network security posture. 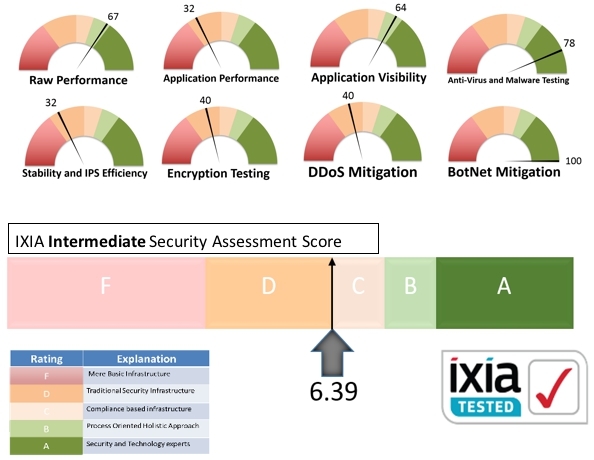 Ixia provides testing, visibility, and security solutions, strengthening applications across physical and virtual networks for enterprises and governments, service providers and network equipment manufacturers (NEMs). 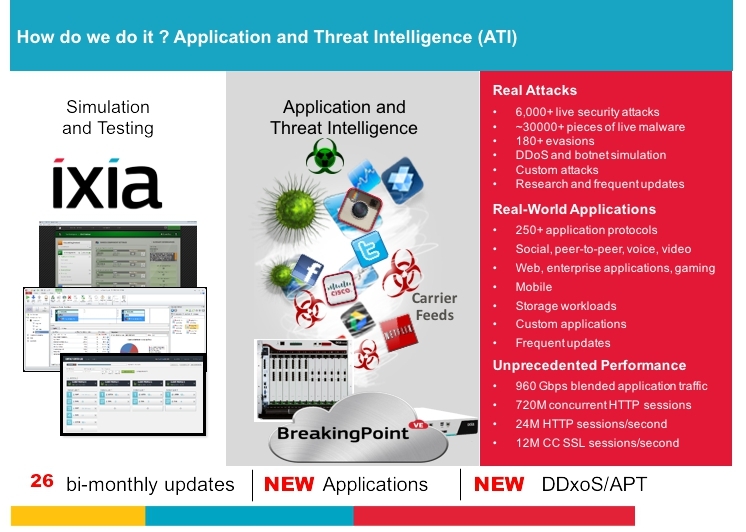 Ixia helps customers manage the unpredictable world of IT and protects them against security threats through actionable insight into the performance, stability and security of their applications and networks. 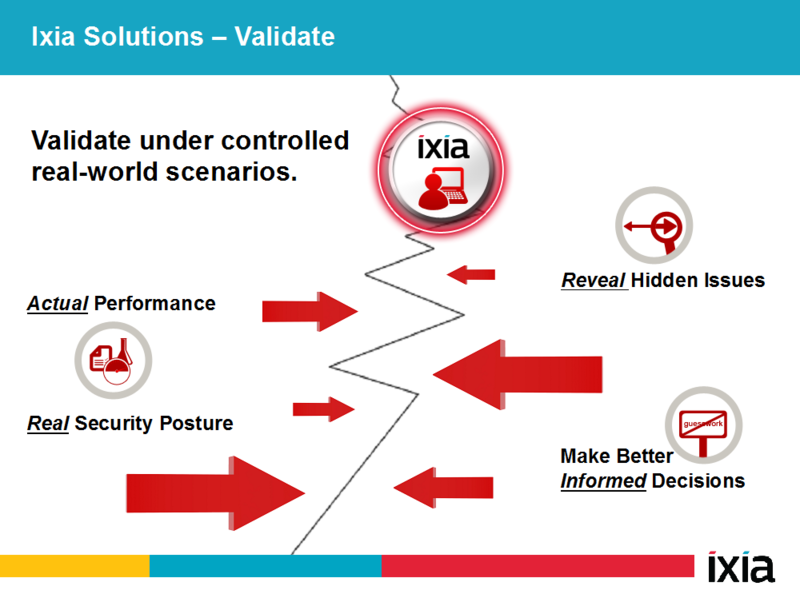 Whether it is testing a product, validating the integrity of a security infrastructure or monitoring a real-time operation, Ixia can help.